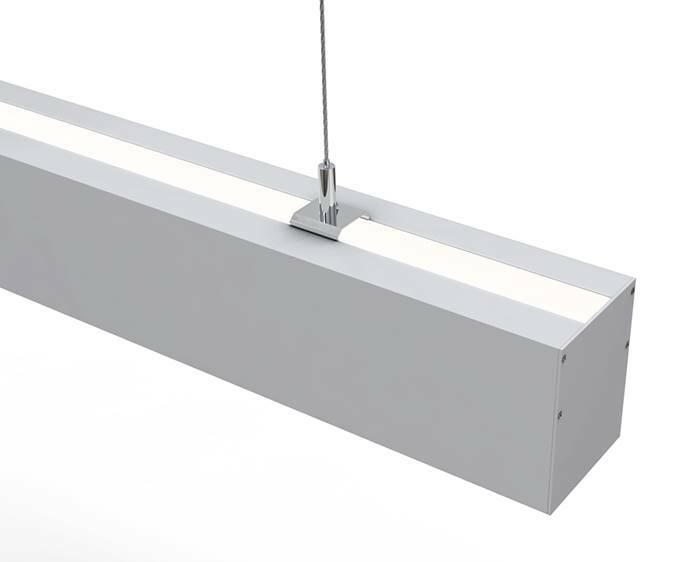 Built out of premium, high-quality Aluminum alloy, and driven by Philips® LED components, our 8ft 3" x 4" Linear Suspension Up/Down Light is the ultimate solution for your up-light/down-light lighting applications. 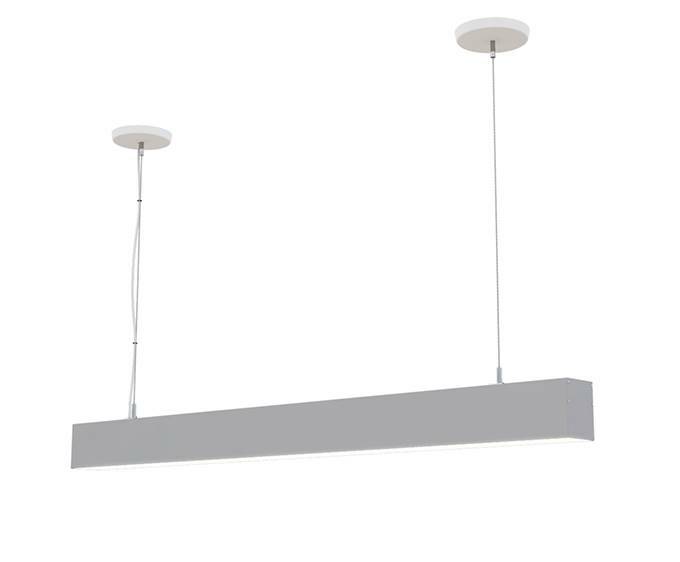 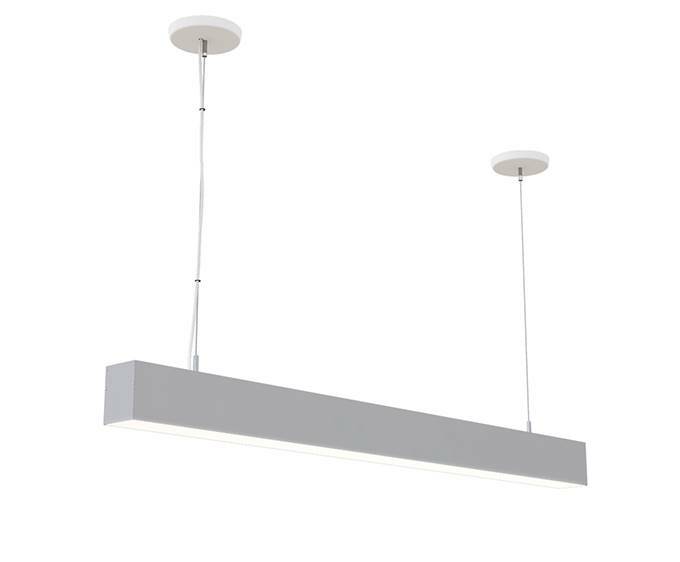 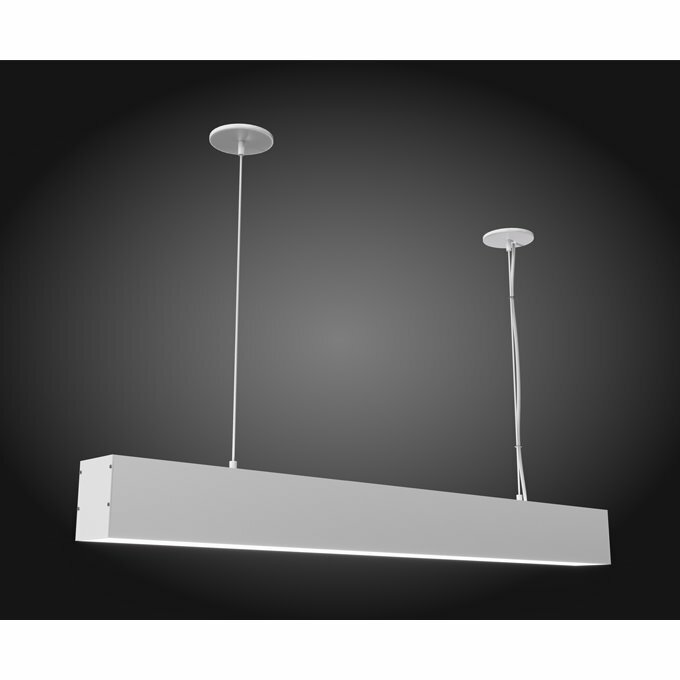 Sleek and narrow form factor, make this an elegant linear light fixture solution. It provides beautiful down-lighting as well as up-lighting for indirect lighting design applications. 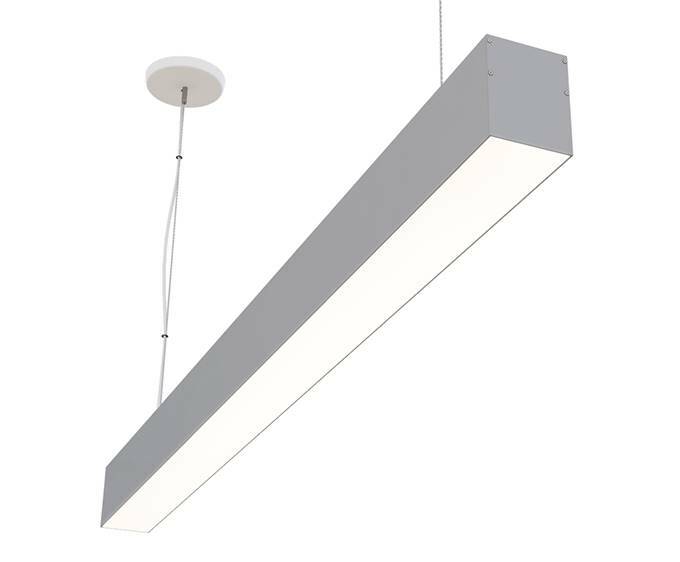 Available in 3 distribution types, and various color configurations, our 8ft 3" x 4" linear up-light, down-light offers unrivaled versatility. 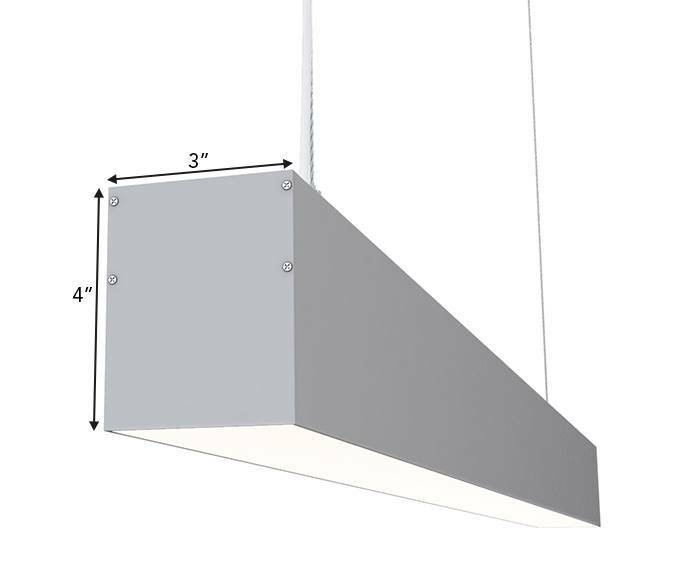 Our 8 foot 3" x 4" Linear Suspension Up-Light/Down-Light is ready to illuminate and includes suspension cables, but requires mounting hardware specific to your installation and mounting surface. 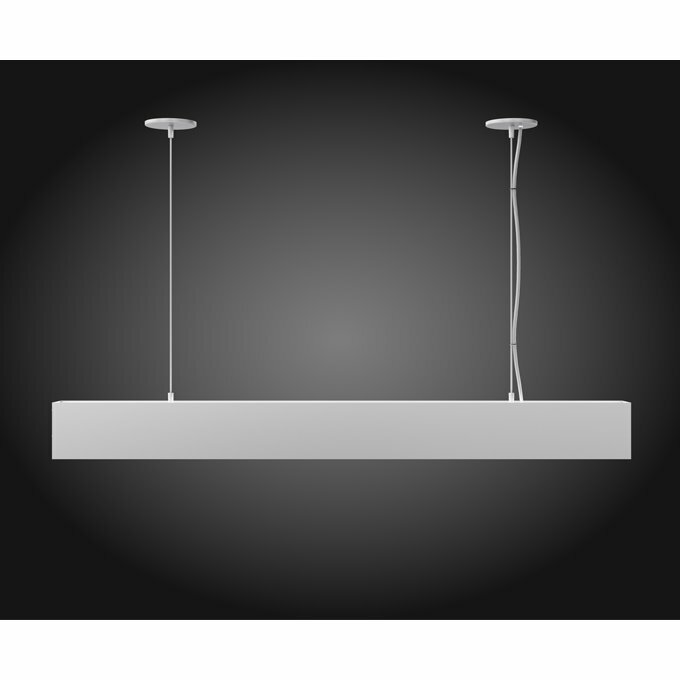 Mount kits are sold separately.